Home Self-Advocacy Self-Advocacy: How to encourage our kids to get what they need. Self-Advocacy: How to encourage our kids to get what they need. This blog article explores the importance of self-advocacy for children and what we can do as parents to encourage them in developing that skill. So imagine this, a child with dyslexia walks into a classroom and takes the first available seat which happens to be at the back of class. The teacher walks in and starts to scribble across the whiteboard and tells everyone in class to copy down what he is writing. The child starts to write but struggles to remember whole sentences and so keeps having to look up and down from his workbook. Every time the child does this, it takes a moment for the child to see where about on the page they were writing. This unsettles them and then they realise that they need to look up again to remember what to copy. Before they know it most of the class have finished writing their notes and the teacher has cleared the board and moved onto the next stage of the lesson, leaving that child disheartened because they didn't get to copy all the notes. It is time for the school library lesson, an opportunity to get a book and read it and the teacher tells the class that they have 30 minutes of reading time and then they need to talk about what they have read. The same child, picks up a book that they know if popular and they sit down to read with their friends around the table. The child can see that their friends are keenly reading their books but for this child there is a problem. Whilst they can read the words, it is really difficult to read to themselves and tries to read out loud so as to get more into the book. The teacher asks them to not do that and just 'read it in their head', whilst the child tries really hard to read quietly, they find that they don't understand what they are reading. They simply don't get any meaning from what they read and this is boring. The child starts to chat with their friends and before long the teacher is telling them to be quiet. The child tries really hard to read quietly again but they are no longer engaged and they start to giggle at something happening across the room whilst fidgeting. The teacher, then gets a chair and puts it next to their table and asks the child to sit in it away from their friends. School is such a difficult place for some children with dyslexia. It affects how they study and it affects how they feel about themselves and the people around them. No one really likes to stand out amongst their peers but the challenges that a dyslexic child experiences is probably noticed by their peers anyway. If a child understands their challenges by way of having a diagnostic test explained to them then a really important skill is the ability to self advocate or speak up for themselves. The video below explores self-advocacy from the perspective of children and young people and what the benefits of speaking up for yourself and asking for help are. 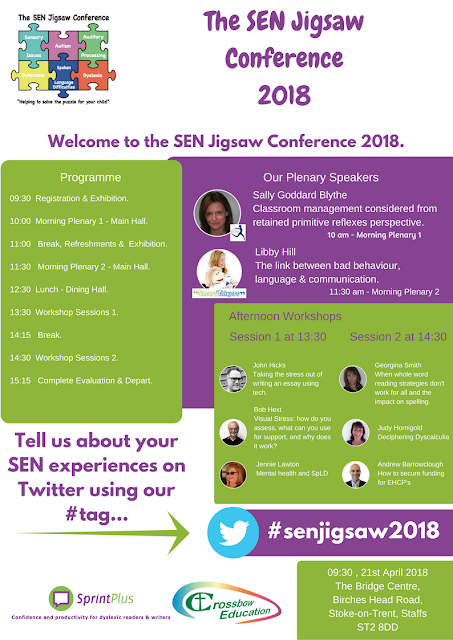 Our children don't want to stand out, they don't want people to think that they are special for all the wrong reasons, so how can we help them to develop self-advocacy? 1) Don't set up high expectations, small steps matter. You kids will be worrying about a) the benefit of such approach at school and b) the perceived social suicide. At this stage it is not all or nothing, we need our children to build up this skill for their own benefit. So you could start by explaining what self-advocacy is with your child and talk about the benefits of being able to ask for help. You could ask your child what they could do as an initial step to see if what you are suggesting will help? A taster if you will. Whatever the child suggests, however small in effort, provided it sits with the goal of developing self-advocacy skills, heap praise on them and tell them what a great idea, ask them to commit to when they will do it and then promise to see how they got on. Ask your child to speak to the teacher privately about their challenges and ask the teacher to help them to find a way to improve learning by expressing what they feel that they need e.g, more time to copy down notes or be allowed to sit nearer the front. Could they use technology to help with reading books? Speak to a trusted friend and ask them to be with them when they struggle in class. Maybe your child can take a look at their notes taken from the board. Parents emotional wellbeing is important for you too. Get in touch! 2) Be upfront with your child about how the school has committed to support them. Of course the assumption here is that the school has committed to support them and if they have, then as a parent you can of course reassure your child that teachers are aware and would welcome any discussion that could help them to learn more effectively. 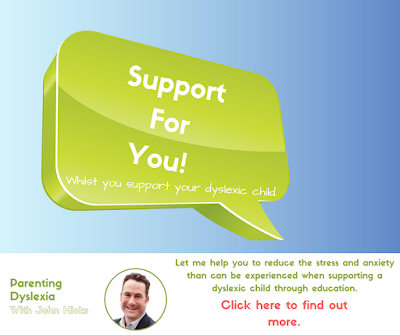 This could help your child to confidently speak out about their dyslexia. 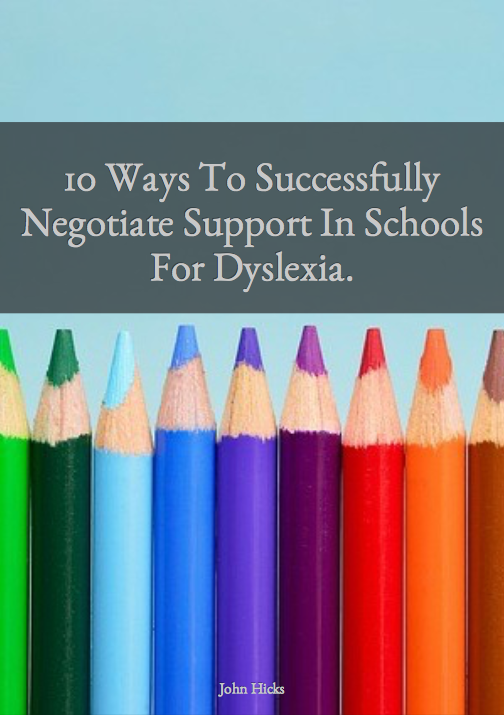 3) Networking with other families that have dyslexia. One of the really good things about dyslexia is that there are many people out there with it, thus this also includes children. If you can tap into the right networks then you may be able to meet up with dyslexia groups where other children are there and this provides an opportunity to talk about experiences and share ways of self-advocating. 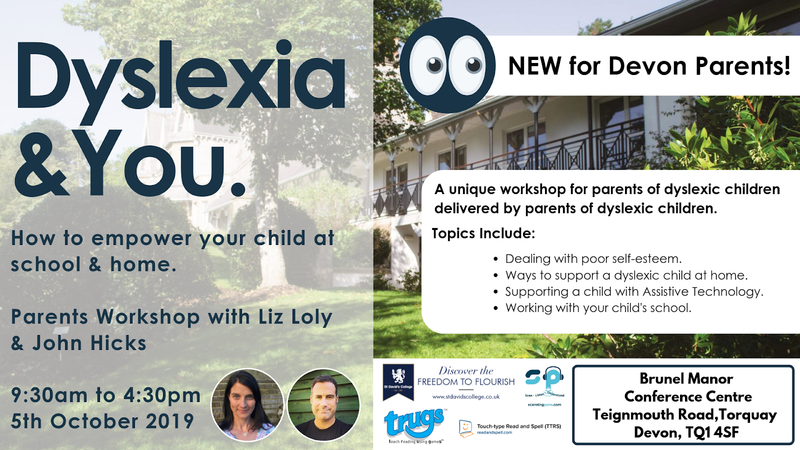 A great starting point is to get in touch with the British Dyslexia Association and find out about their Local Dyslexia Associations and see if there are some local events which involve other children taking place. Click here to find out more about the BDA regional groups. Meet other parents, get advice from professionals about SEN - Click here to book.